Lisbon, the World’s Leading City Break Destination in 2017, is in an extremely fortunate position. Not only is it a fascinating riverside city, it’s also within spitting distance of stunningly beautiful beaches, natural parks, medieval castle towns, distinct wine regions and historical sights. Make time in your Portugal itinerary for one or more of these Lisbon day trips. Click to jump straight to a specific day trip destination. And don’t forget to check out this article about the best places to stay in Lisbon. 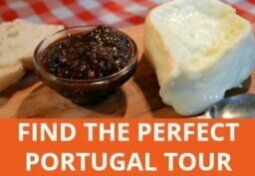 The small village of Vila Noga de Azeitão sits on the edge of the Arrábida Natural Park and gave its name to a deliciously runny sheep’s cheese that should definitely be on your list of food to try in Portugal. Of the wineries in and around the village, I visited Bacalhôa because I wanted to see the contemporary art collection and 15th century palace as well as taste the locally produced moscatel wine. You’ll find a more traditional, set up at José Maria da Fonseca which, being in the heart of the village, is easier to get to. It’s also a popular stop for tour groups so it can be a less intimate experience than you’d get at some of the smaller wineries. While in Azeitão, you could also visit a factory that specialises in making reproductions of traditional Portuguese tiles (azulejos) and even have a go at using some age-old techniques. Read about my experience of Azeitão and find out how to get there by public transport. Several Lisbon tours make a stop in Azeitão on the way to or from Arrábida Natural Park, such as this small group tour by my partners, Cooltour Lisbon, which centres around the wine from this region. Note: If you’re most interested in food and winery tours, complete this form to get more information about the options. Depending on how you travel, you could add a scenic drive through Arrábida Natural Park and even some time on one of its beautiful beaches time to your Azeitão excursion. Parking near beaches like Praia dos Galapos is tricky in summer so get an early start if that’s part of your plan or head for the more accessible Praia da Figueirinha. There are hikes in these hills but it would be better to use a guide rather than attempt them alone. If you time it right (i.e. Wednesday, Saturday or Sunday) and book ahead, you could also visit the Franciscan monastery nestled amid the greenery. You could also head to the western cape of Espichel for a completely different geological landscape and convent. Sesimbra is a lovely little seaside town at the base of this natural park that’s peaceful and non-touristy outside the peak summer months. The castle is well worth exploring for stunning views and interesting exhibitions about medieval life and architecture as well as the history of the castle, Sesimbra and Portugal in the context of what was going on in the wider world at the time. 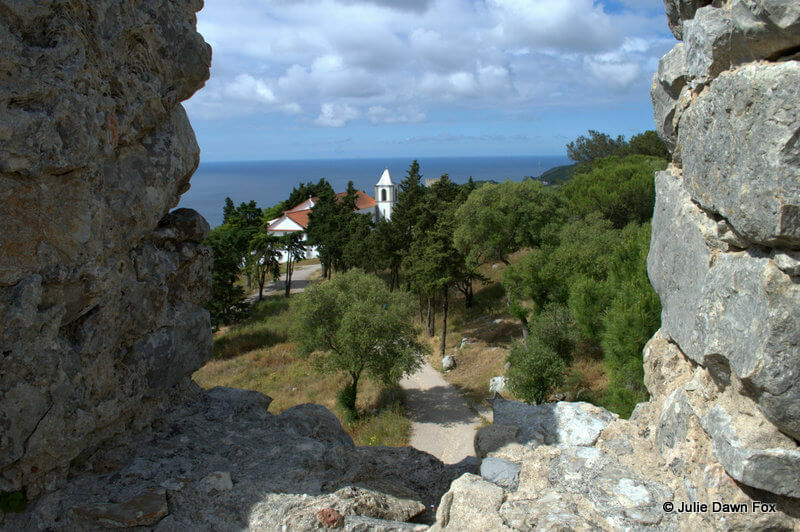 Find out more about Sesimbra and its castle here. 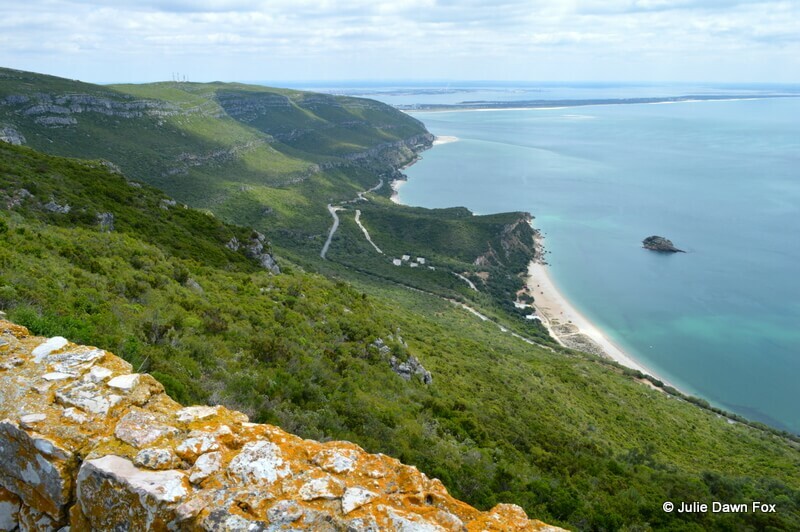 Palmela lies on the northeast edge of Arrábida Natural Park and offers glorious views of the swathes of sand in the Tróia peninsular as well as beautiful green countryside. The medieval hilltop castle is fun to explore and you could even spend the night in a former monastery within the castle walls, built by the Order of St. James. Palmela is also firmly ensconced within the Peninsula de Setúbal wine region so there are several wineries you can visit nearby. I visited Palmela by bus from Lisbon so picked a winery within walking distance of the town. Quinta do Piloto turned out to be a delightful place and possibly my favourite out of all the many wineries I’ve visited in Portugal. This full day wine tour south of Lisbon includes Quinta do Piloto. Here are 6 wineries near Lisbon, including Quinta do Piloto, that you can visit. I haven’t spent much time in the Costa da Caparica but if you’re looking for an alternative to the busy urban beaches on the Estoril-Cascais coast, head across the Tagus River. With a beach that stretches for 30 km, you won’t have trouble finding space for your towel. While the northern end of this sandy strip is backed by urban developments, if you head further down the coast, stone pine trees replace the concrete. For practical information about how to get there see this article. 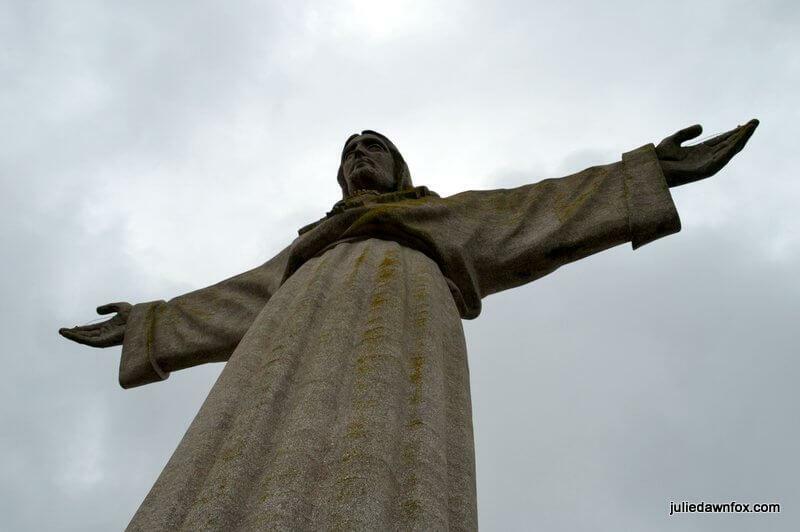 You’ll see the massive statue of Christ the King (Cristo Rei) with his outstretched arms from many vantage points in Lisbon. For spectacular views from the other side of the river, take the ferry from Cais do Sodré across to Cacilhas and a bus or taxi to the Cristo Rei monument. Content yourself with the Lisbon views from the terrace or pay a few euros to take the lift to a significantly higher and windier platform. To the left of the ferry port in Almada there’s a restored 19th century Portuguese warship which costs €4 to climb aboard and another €1 for an explanatory leaflet in English. For a riverside lunch or sun downers with great views, Ponto Final is a good option. Look for the yellow chairs just past the rather shabby row of warehouses on the waterfront, to the right of the ferry. I was in no great hurry to visit Setúbal – for some reason I though it would be overly industrial and rather dull. How wrong I was! The historical centre is charming and regularly changing street decorations and delightful murals give it a splash of colour and creativity. Cheerful ceramic figurines brighten up the pretty city park while patterned dolphins grace the harbour. A wide avenue separates the old town from the waterfront and the impressive market and there’s a fascinating little museum that details the inner workings of a sardine factory, among other things. Sardine canning was a major industry in Setúbal for many years and Mike, ever the industrial tourist, found the exhibition fascinating. The white sandy beaches of Arrábida Natural Park are but a few kilometres away and there are other pleasant beaches even closer to the city. Tróia’s are a mere ferry ride away. 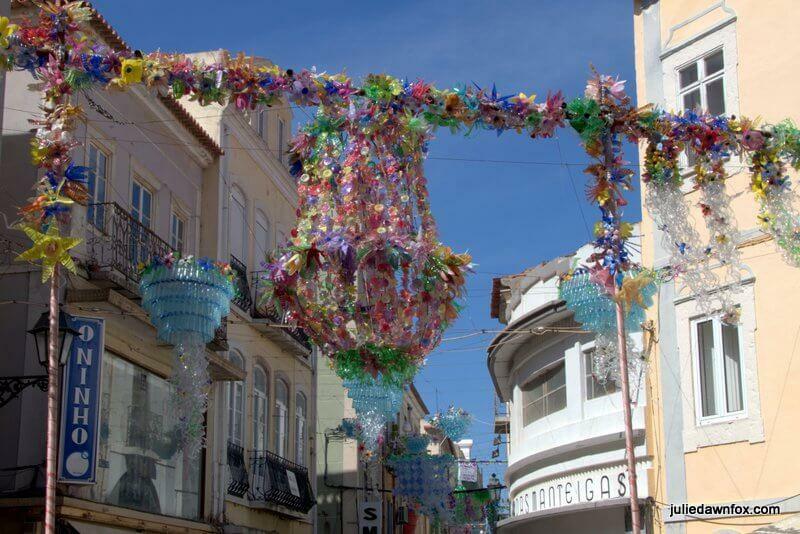 Find out more about things to do in Setúbal in this post. Tróia is at the top of the sand spit that separates the Sado Estuary from the Atlantic Ocean. Once inhabited by Romans, it’s now a popular holiday resort with modern facilities and a range of accommodation if you feel like staying longer. Activities centre around watersports and the pristine beaches although its possible to rent bicycles or play golf here too. You can visit the ruins of the Roman fish sauce factory and see the vestiges of the once thriving community. 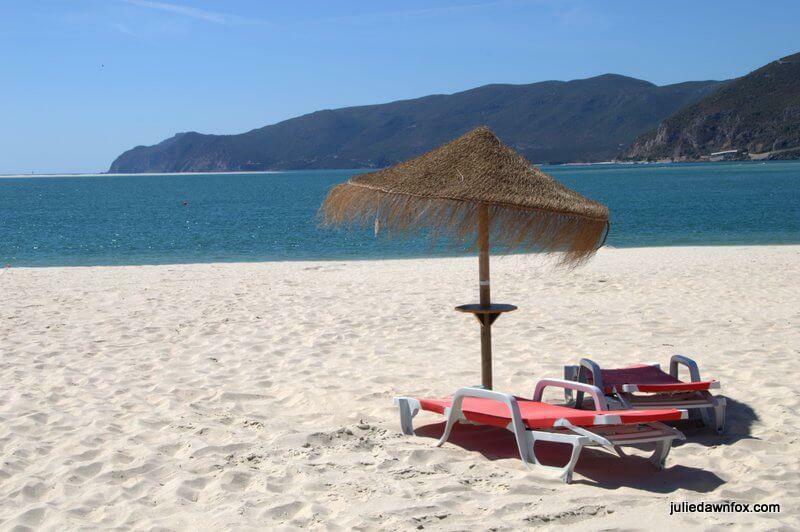 The white sand beaches are gorgeous with views of sand islands and the forested mountains of Arrábida Natural Park. If you have a car, you could drive along the peninsular to the upmarket beach and village at Comporta. Contrast the obvious wealth here with the ramshackle fishing harbour at Carrasqueira and the riverside town of Alcácer do Sal. 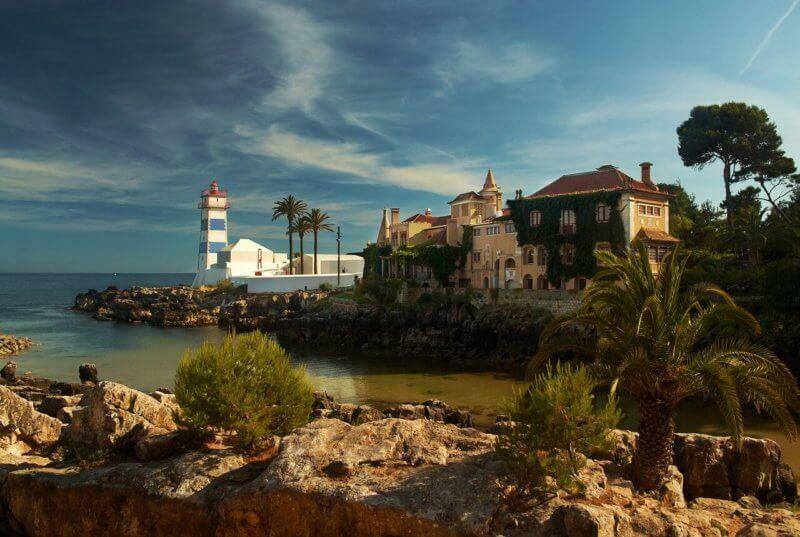 The darling of Lisboetas and international visitors since King Luís adopted it as his summer residence in the 19th century, Cascais is an easy and pleasing day out from the capital. With a selection of beaches, a collection of museums and art galleries, pretty parks, natural wonders, boutiques, markets and pavements that make your eyes go funny, its appeal is obvious. Read all about what to do in Cascais. I’ve often said that Sintra needs more than a one day trip but however long you have, use my tips to plan your Sintra itinerary to make the most of your visit, however long or short it may be. You’ll be spoilt for choice with royal residences and fanciful mansions so choose carefully. There are also attractive gardens, a former Carmelite convent and unique wineries to explore. If you have time, or take a Sintra tour from Lisbon, you could also see something of the coastline between Sintra and Cascais, including Cabo da Roca, the westernmost point of mainland Europe. Or one of the smaller villages, such as Azenhas do Mar. The Sintra-Cascais Natural Park is also a wonderful place for hiking trails but you’d need to give yourself more time to fit all this in. 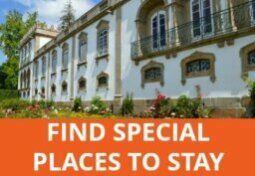 See this article if you’re looking for accommodation in Sintra. 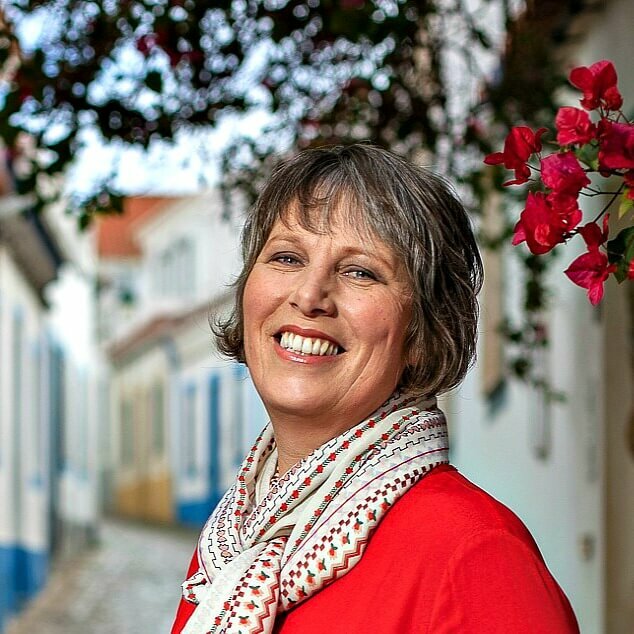 If you’re looking for a guided tour of Sintra, tell me your preferences using this form and I’ll direct you to the most appropriate tour operator. 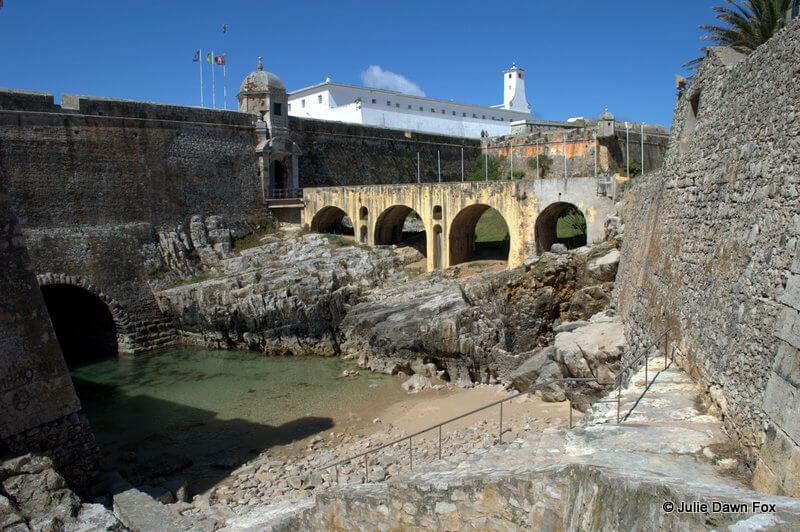 The fortress at Peniche was used as a prison for dissenters during the Salazar dictatorship and contains fascinating stories. There are plans to modernise the museum it houses so check the current situation before planning a trip specifically for this. Aside from the fort, places of interest include the harbour and the curious rock formations near the lighthouse. 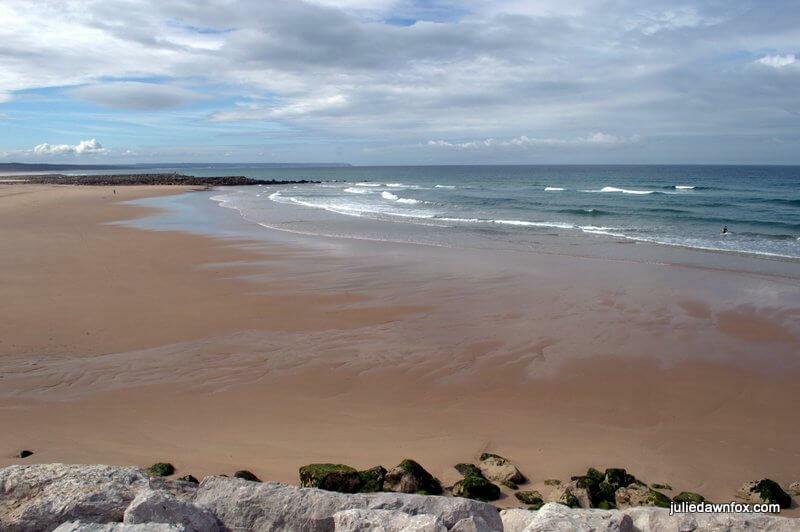 The beaches either side of this headland are popular with surfers although my favourite is Baleal’s sheltered bay. The pancake rocks are worth closer inspection, too. Read more about Peniche in this post. 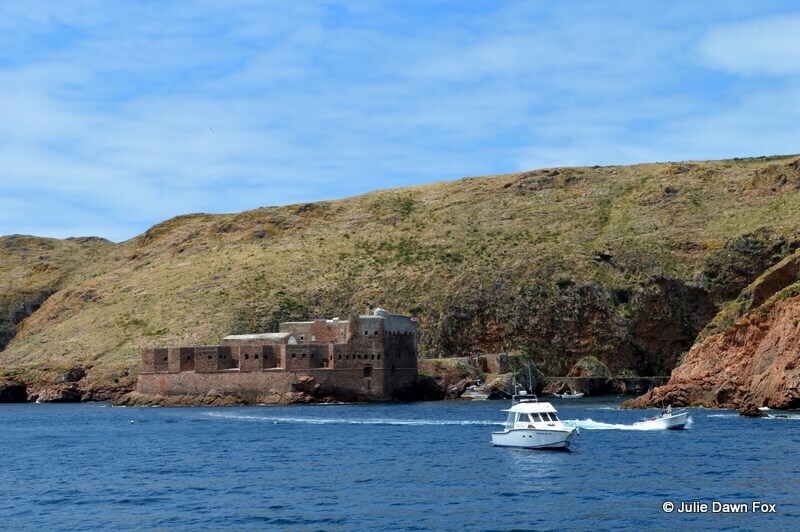 The boat ride from the fishing town of Peniche to this island nature reserve can be rather bumpy and there is little to do on Berlenga except enjoy its natural beauty, explore the caves by boat, go snorkelling or diving or simply walk to the fortress. I was surprised how much I enjoyed it when I went so read this to see if it’s one for your itinerary or not. Bear in mind that tours and ferries only run from mid-May to mid-September. 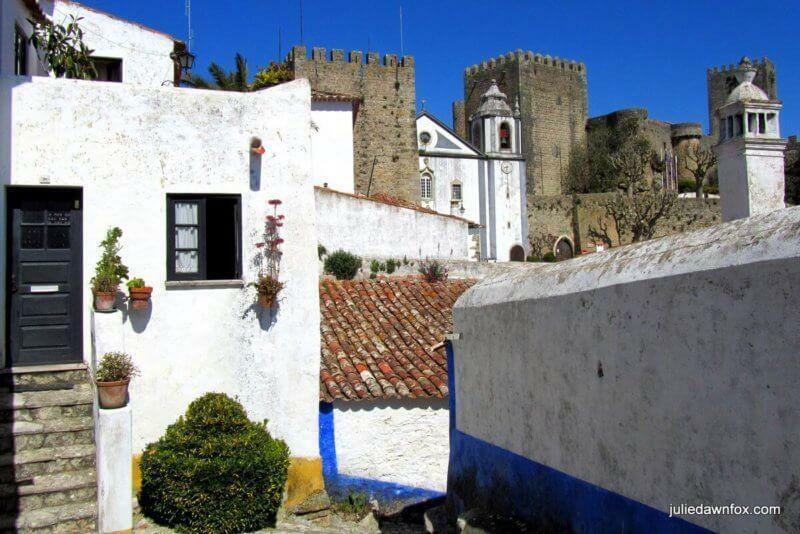 Óbidos is so pretty that one of Portugal’s kings gave this medieval village to his bride to be. Within the ancient citadel wall lies a charming network of cobbled streets and whitewashed cottages to explore. While the main street can get quite crowded, it’s easy to escape from fellow tourists and find peaceful places to wander. It’s a good place for souvenir shopping with some lovely ceramics. As if these weren’t enough to persuade you, there are regular themed events which take place in the castle grounds, such as the annual chocolate festival and the medieval fair. 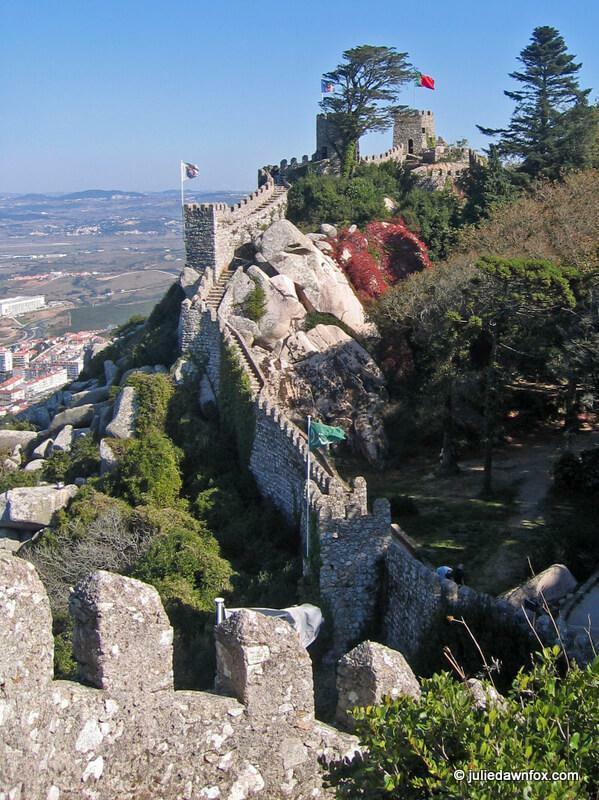 Find out more about what to do in Óbidos. You’ll find guided tour suggestions in the article too. 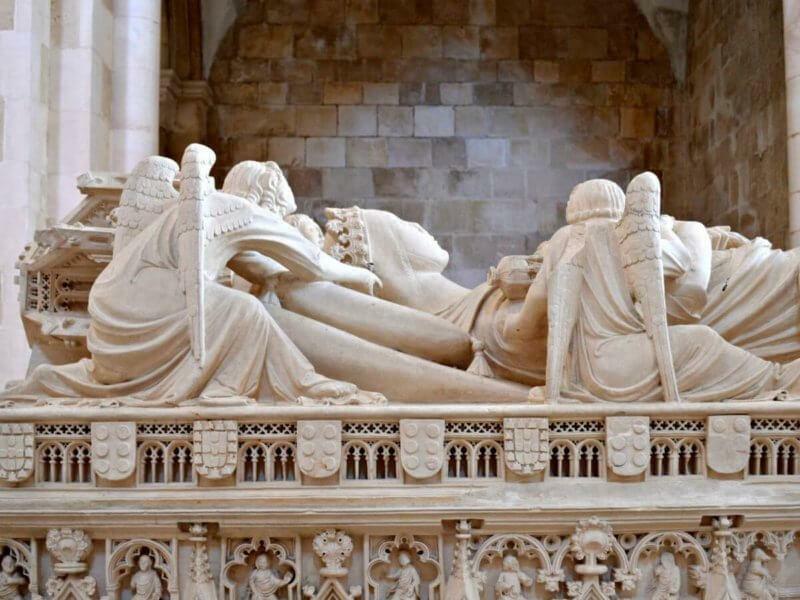 One of Central Portugal’s 4 UNESCO World Heritage sites, the 13th century Alcobaça Monastery is also home to the tombs of Portugal’s legendary lovers, Pedro and Inês. While most visitors don’t see much more than this ancient monument, there are other charms within this town, such as a wine museum and a folklore museum with a collection of colourful costumes and locally produced ceramics. Read more about visiting Alcobaça. It seems to be a ‘thing’ in Portugal for towns and cities to proclaim themselves a capital of something as part of their identity. It’s easy to see why Santarém went for Gothic architecture as their claim to fame. 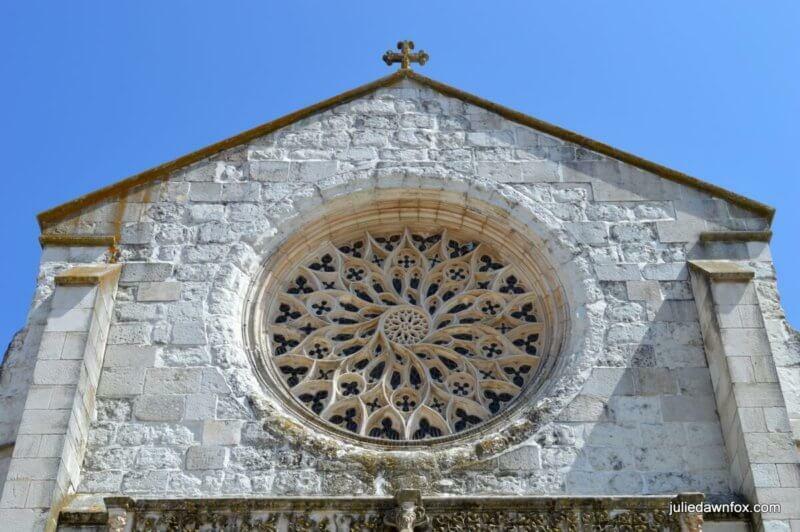 There are several stunning examples, my favourite being the Igreja da Graça, which has a gorgeous rose window. More modern buildings that attract attention include the market hall, clad with azulejo panels as is the train station. One of the prettiest spots in Santarém is the Portas do Sol Garden. Walk around the perimeter walls for views of the River Tagus and surrounding countryside or stop for refreshments in the café or restaurant within the park. This tourist map may be of use to you. Note that the train station is a fair distance from the historical centre so you may want to take a taxi up the hill if you’re not coming by car. History buffs will enjoy delving into the history of the early days of Portugal as a country. 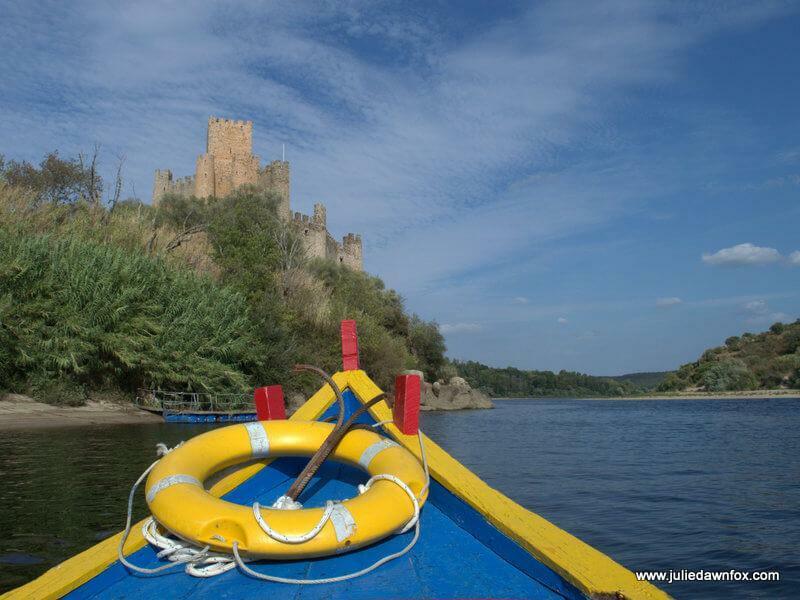 Almoural Castle sits on its own tiny islet in the Tagus River and has done since Gualdim Pais, Grand Master of the Knights Templar, built it in the 13th century. The best way to get to it is the little ferry boat from the shore. Nearby Constância is a pretty riverside town of white and yellow houses and a strong connection with the poetry of famous Portuguese writer, Luís de Camões. If you’re intrigued by the story of the Knights Templar who were instrumental in defending and extending the borders of the newly formed country of Portugal, Tomar should also be on your list of places to visit. Another charming riverside town, Tomar’s hilltop Convent of Christ was built as the headquarters for these Christian warriors and is now a UNESCO World Heritage site. An hour and a half from Lisbon by car and a couple of hours by train, the walled city of Évora is one of the most popular excursions from Lisbon. It’s also a UNESCO site. 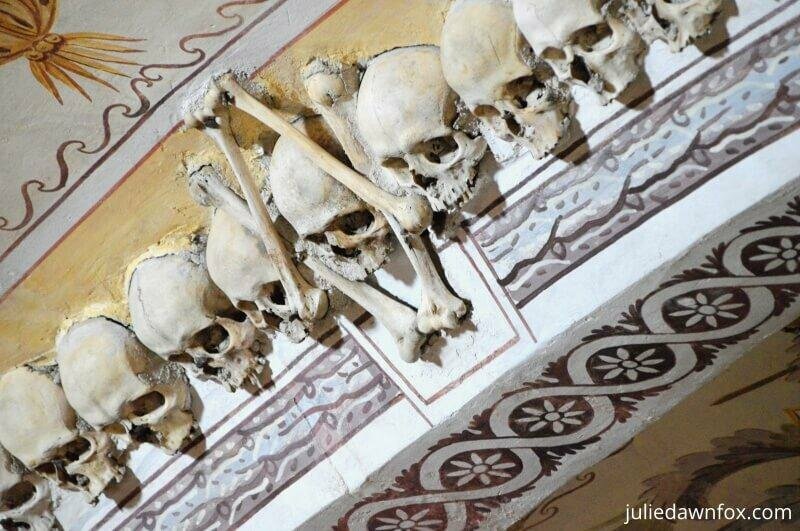 While I found the Roman temple slightly disappointing, the haunting Chapel of Bones alone makes the journey worthwhile. Add to that an ancient university with original azulejo panels, a 15th century aqueduct with houses built into the arches and many charming squares and cobbled streets and you’ve got the makings of a very pleasant day trip if you can’t spare longer. There are wineries just outside the city and megalithic monuments such as the double circle of standing stones at Almendres. 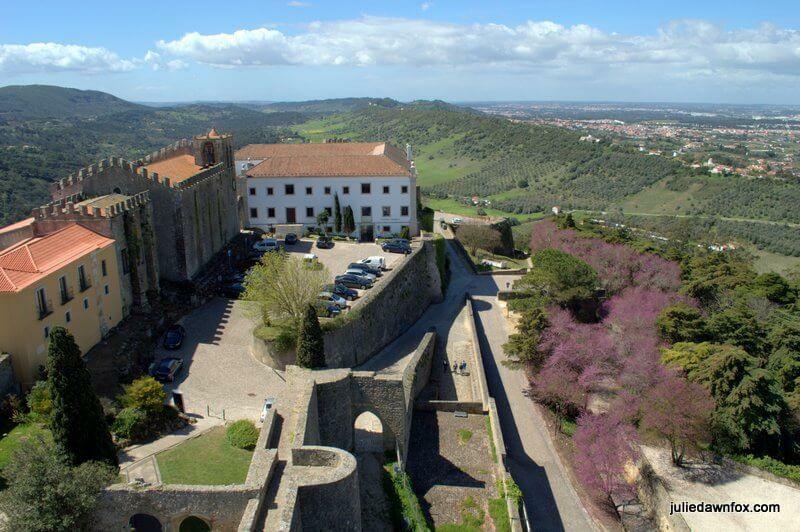 If you can extend your itinerary to allow at least one overnight stay in Évora, you’ll find plenty to keep you occupied, especially if you factor in tours that start from Évora and venture further into the Alentejo culture and countryside. 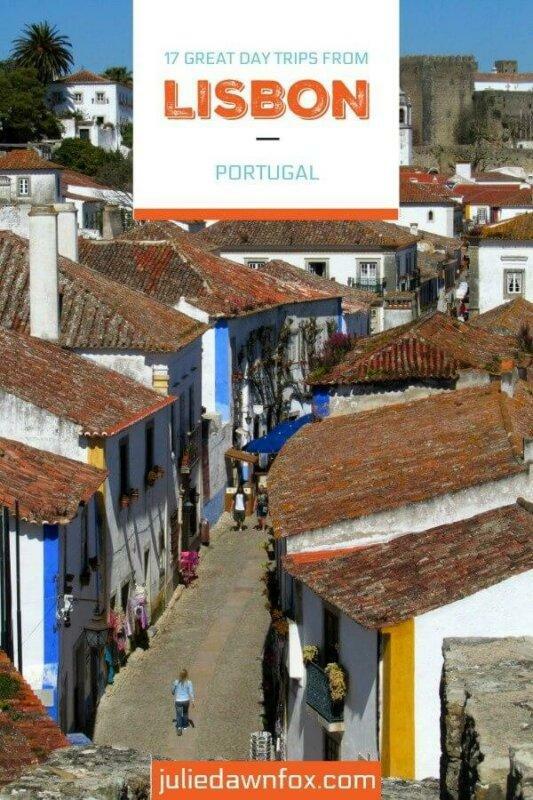 See my Évora accommodation picks. These are some of the best day trips from Lisbon to Évora, some of which include stops at the Almendres or the craft village of Arraiolos. 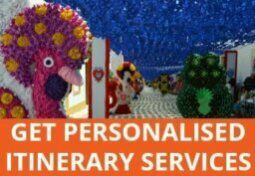 Click to check availability and see exactly what’s included. Next Post: A Year Of Portugal Travel In Review: Where Did I Go In 2017? Fantastic post and suggestions! 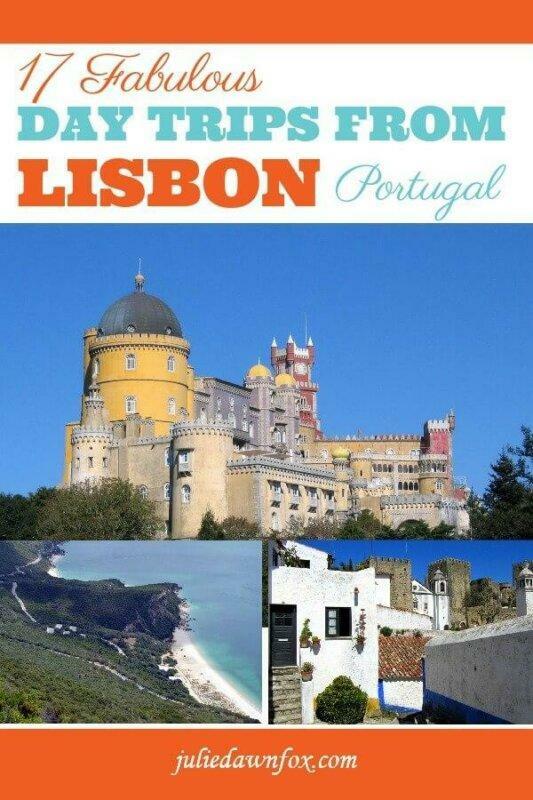 Sintra is somewhere I’d especially like to visit! Thanks for all your other suggestions to.